Defending champions Zambia crashed out of the Africa Cup of Nations after a goalless draw with Burkina Faso, who progressed to the quarter-finals while Nigeria qualified for the next round of the Africa Cup of Nations after two late Victor Moses penalties gave them a crucial win against Ethiopia. The titleholders' third straight stalemate left them emulating Algeria, who failed to reach the quarterfinals as reigning champions in 1992. Chipolopolo went into the game level on points with Nigeria, who went through to the last eight after a 2-0 win over Ethiopia in the other Group C game. Zambia will rue weak efforts from Collins Mbesuma and Rainford Kalaba in a poor game against Burkina Faso. Clifford Mulenga also missed a half-chance late as Zambia limped out. 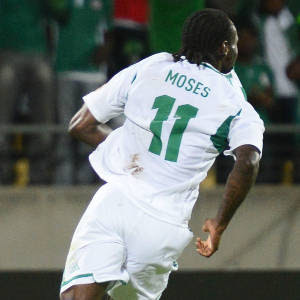 In the super eagles match against the Ethiopians, Chelsea winger Victor Moses opened the scoring from the spot after he was fouled by defender Alula Girma with 10 minutes to go. The winger earned the second penalty when he was brought down by goalkeeper Sisay Bancha, who was sent off. With Ethiopia already using their three substitutions, Moses slotted past midfielder Addis Hintsa who was forced to be a stand-in goalkeeper. As Zambia were unable to put on a late surge of their own in the other Group C game, Nigeria will now face tournament favourites Ivory Coast in the next round.